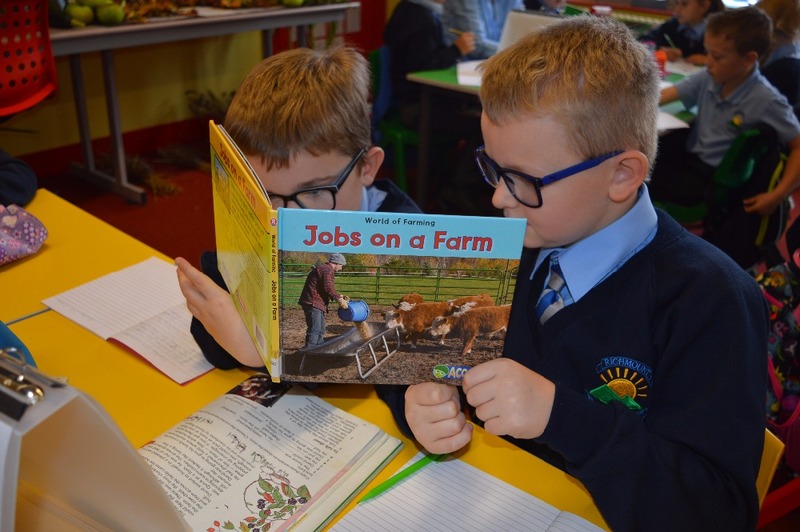 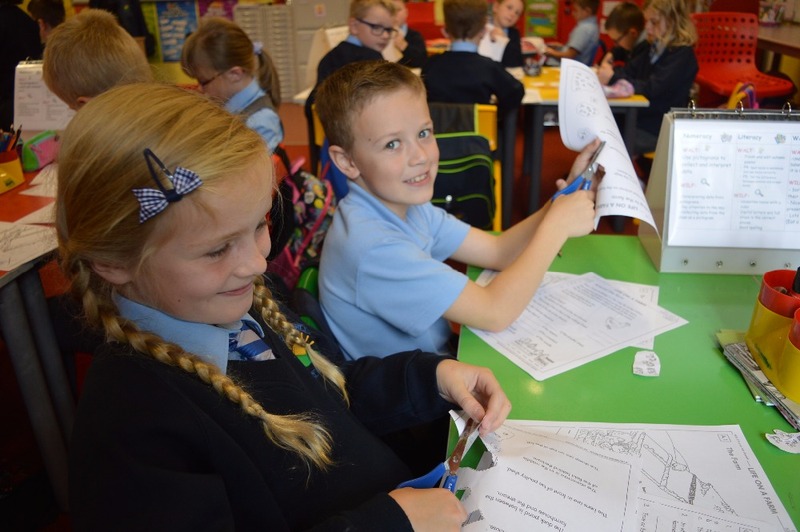 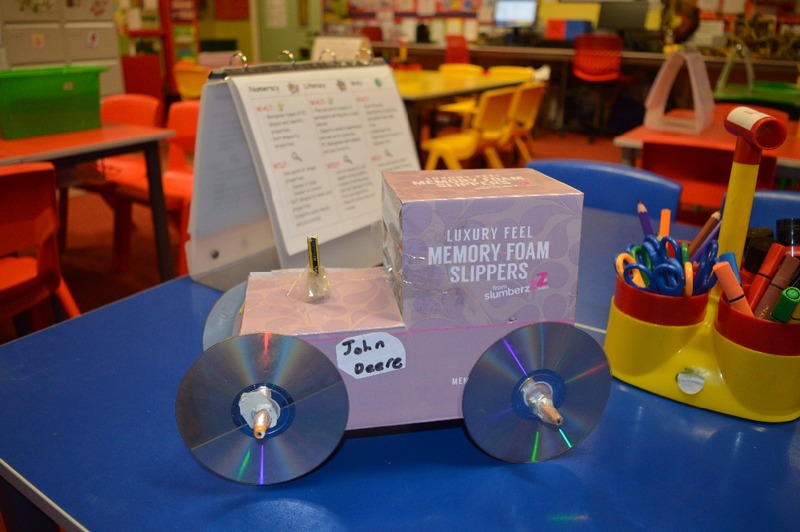 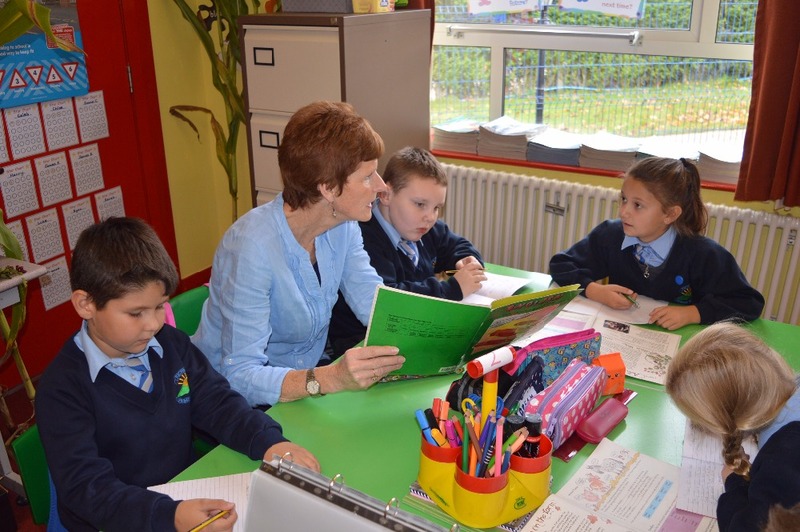 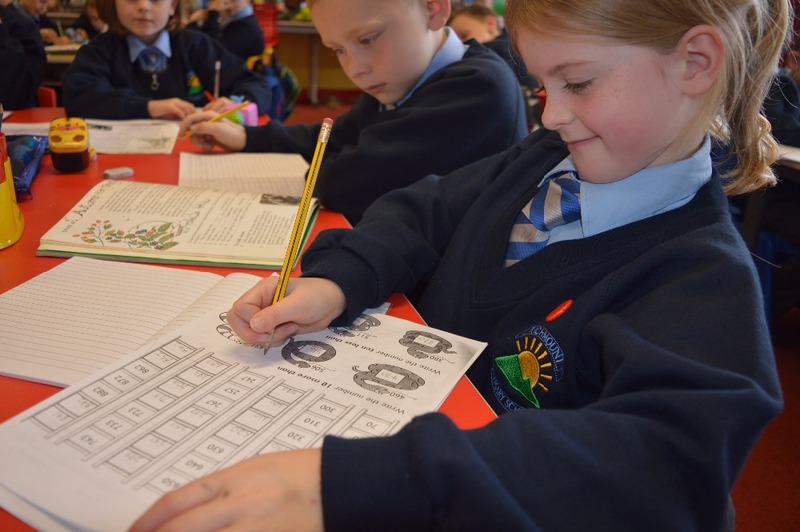 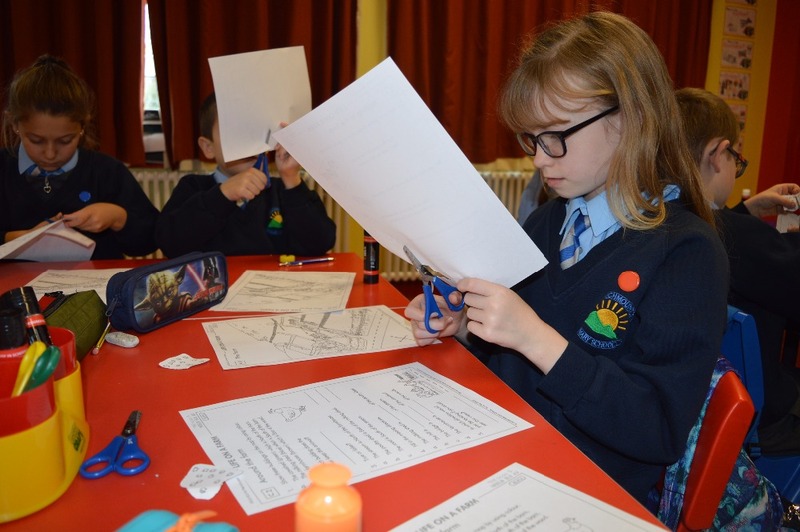 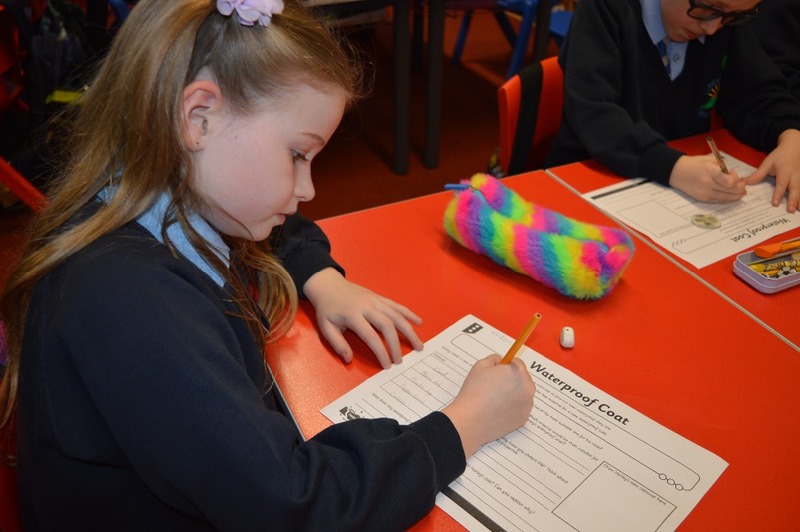 Reading and Writing – P4 & 5 will read and discuss their reading within their guided reading groups two times a week. 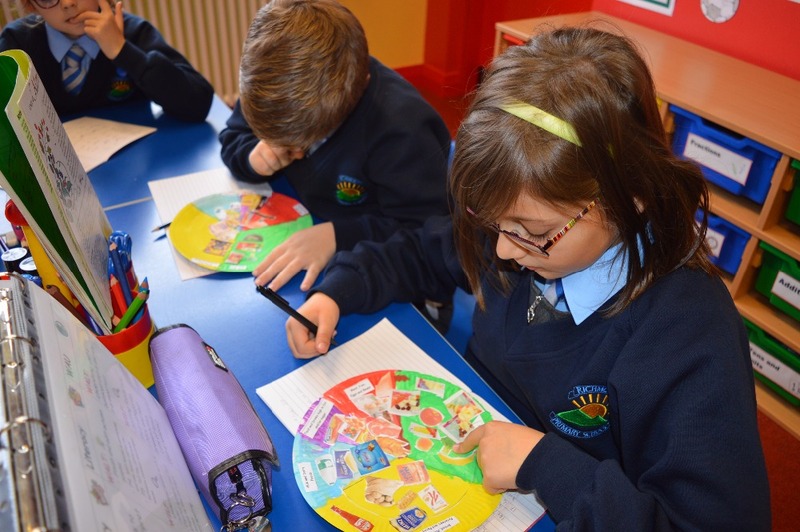 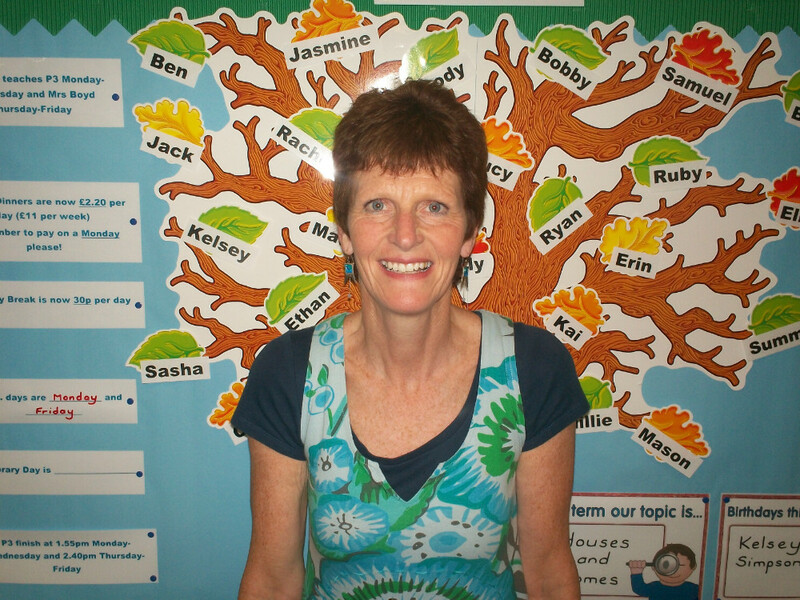 Children are to take the time between guided reading sessions to consolidate reading already set. 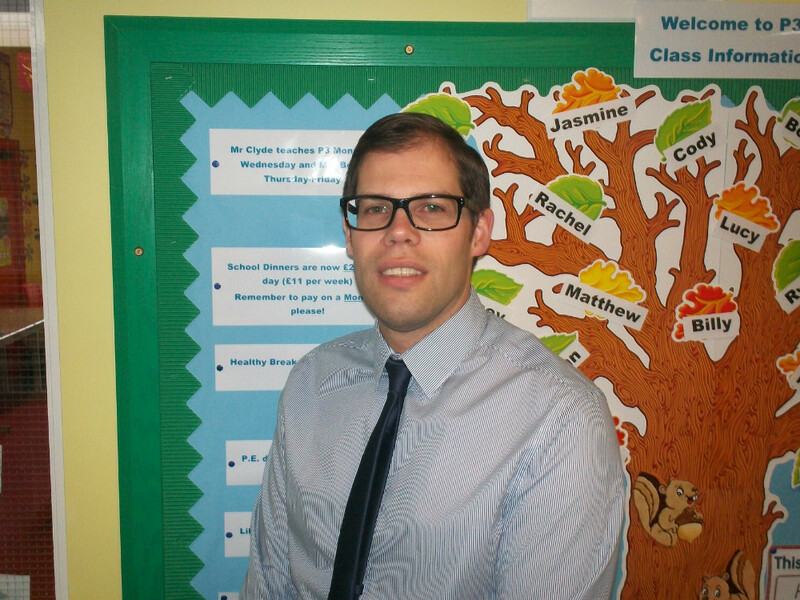 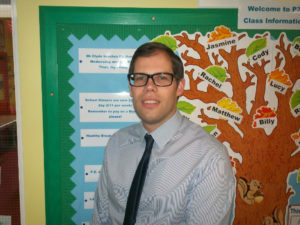 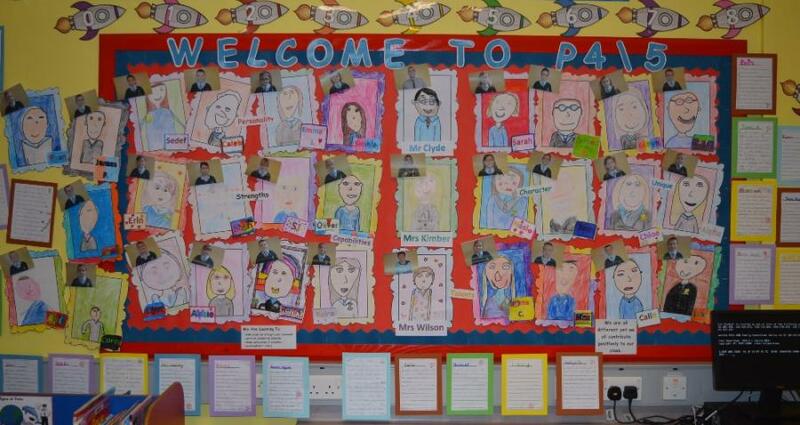 Homework passes will be given out when a pupil achieves a full row of stars on their individual star chart. 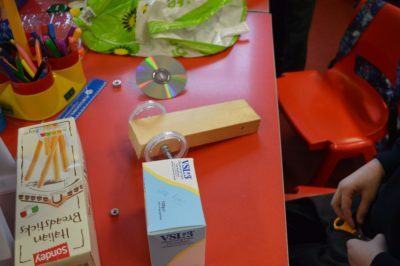 The homework pass must be stuck in the book to replace where the homework should have been. 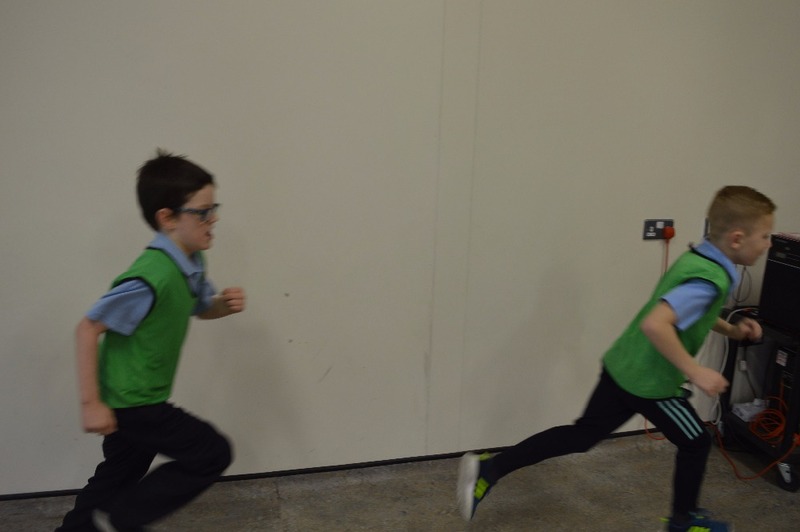 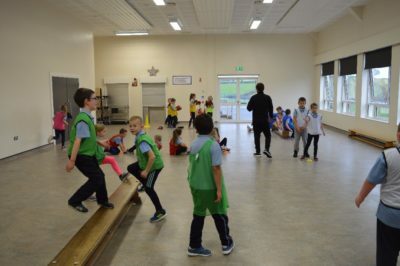 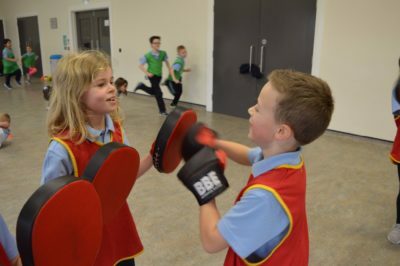 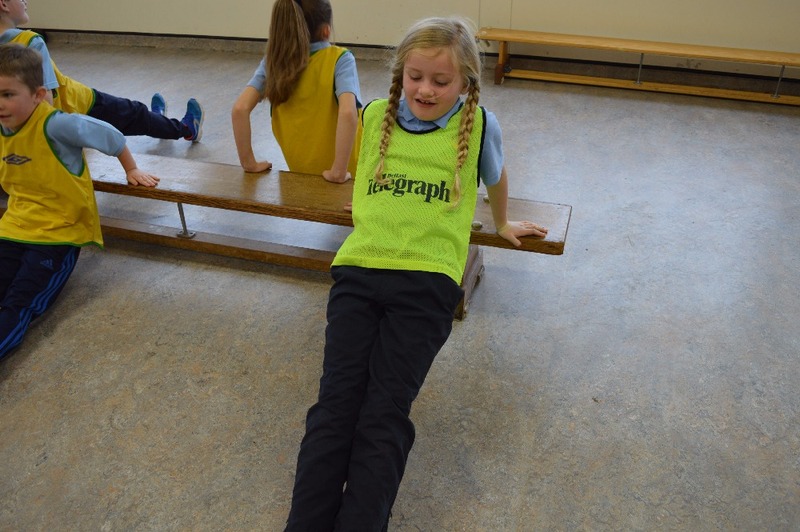 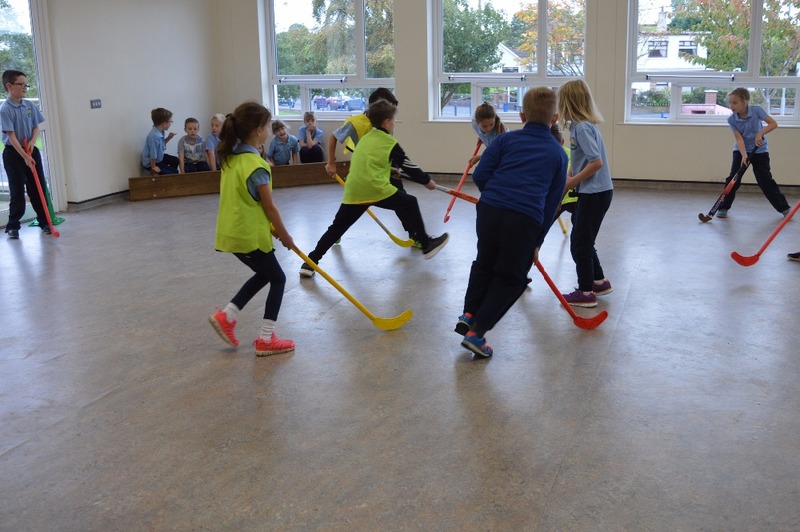 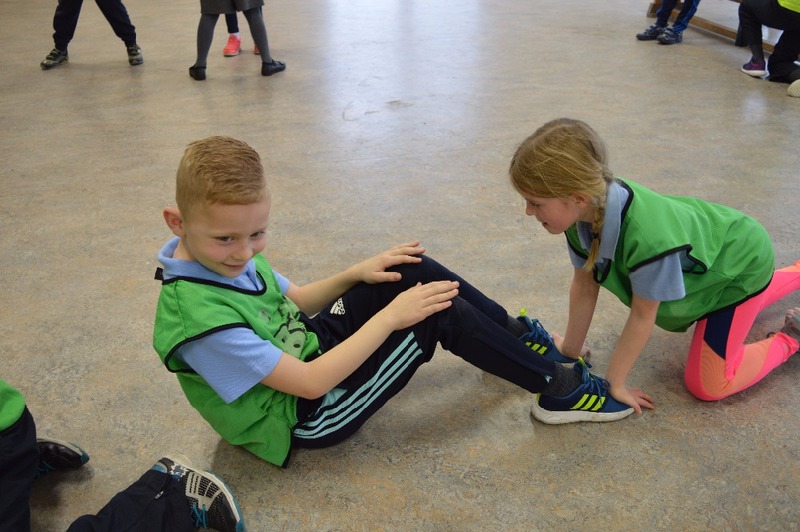 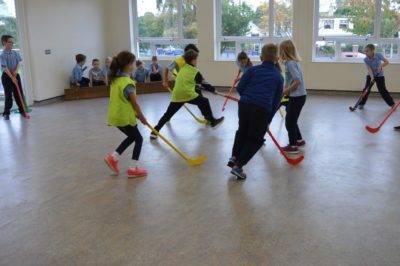 PE: We love playing Unihock in PE! 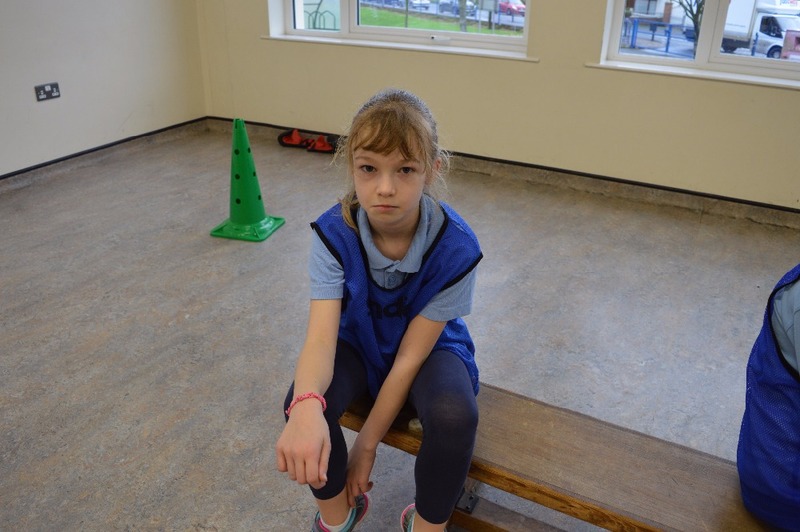 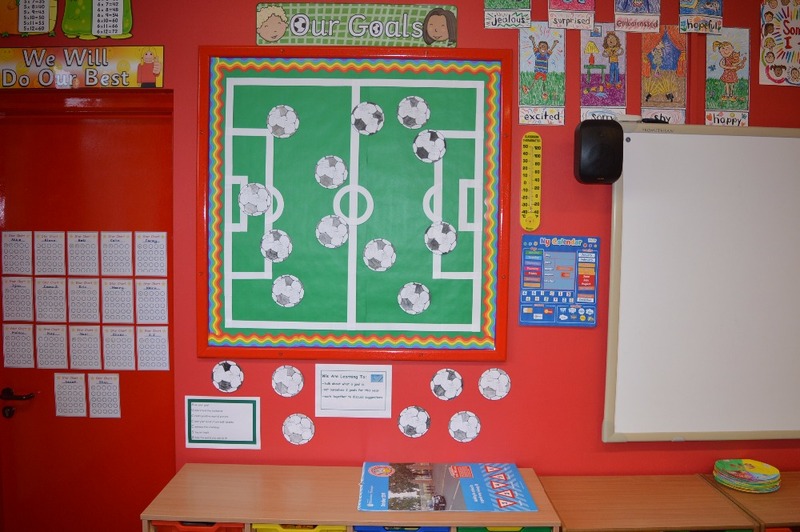 PE – This will be on a Monday and Thursday. 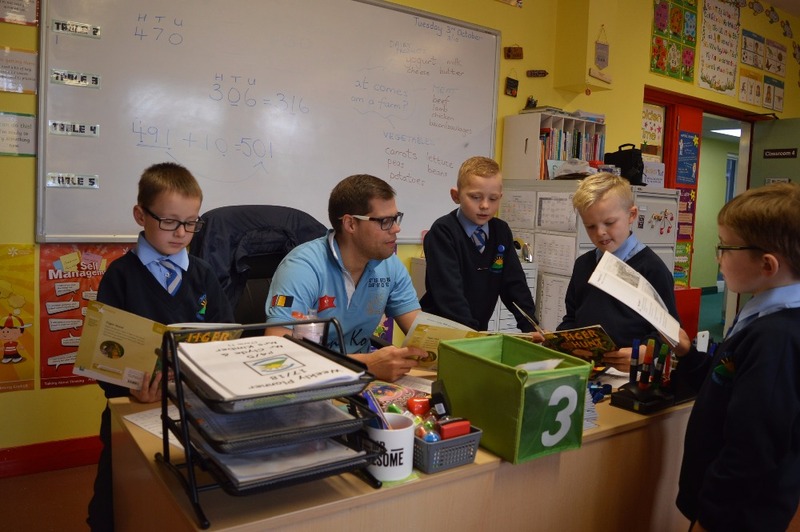 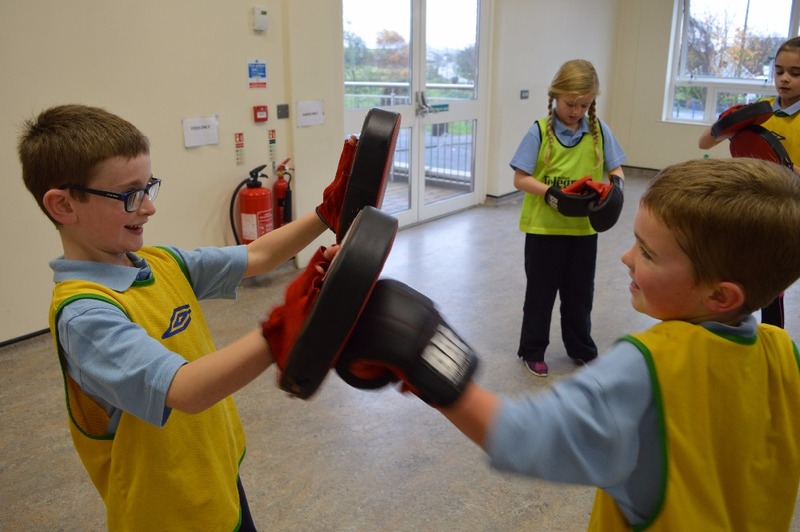 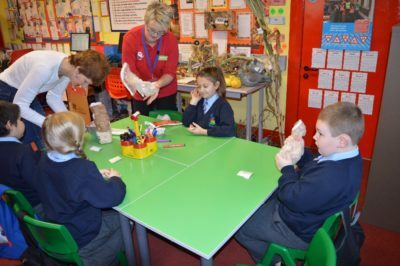 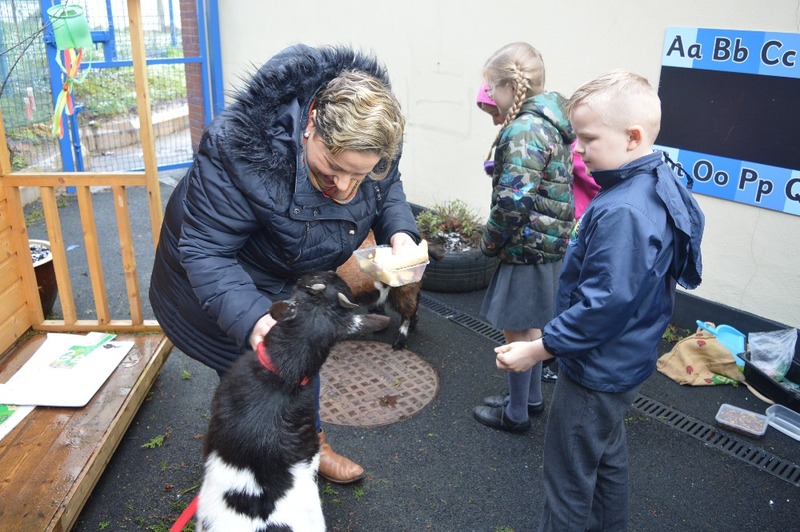 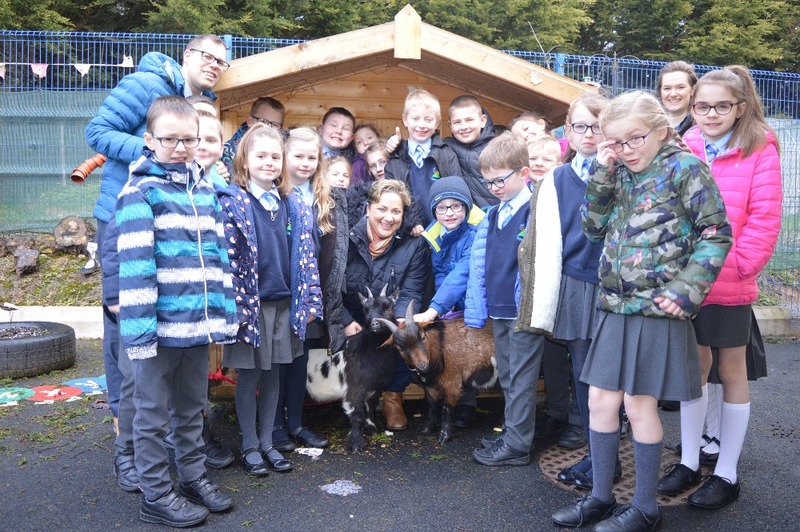 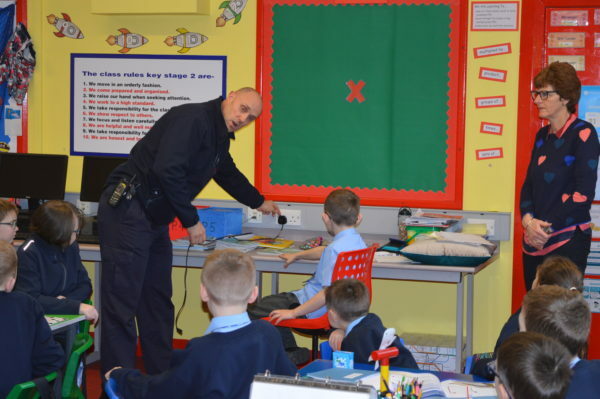 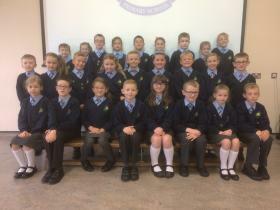 The P4/5 class were visited by Portadown Fire Service personnel in January. 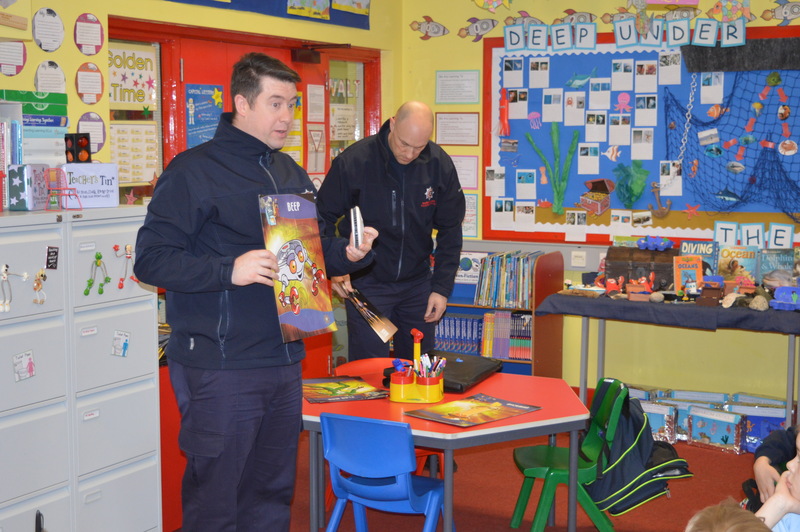 They talked to us about fire safety, staying safe in our homes and how to call the fire brigade in the case of an emergency. 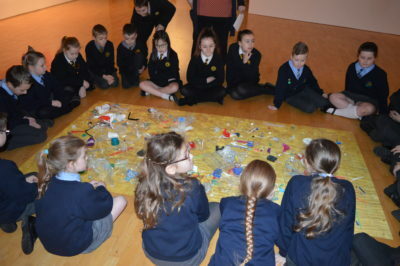 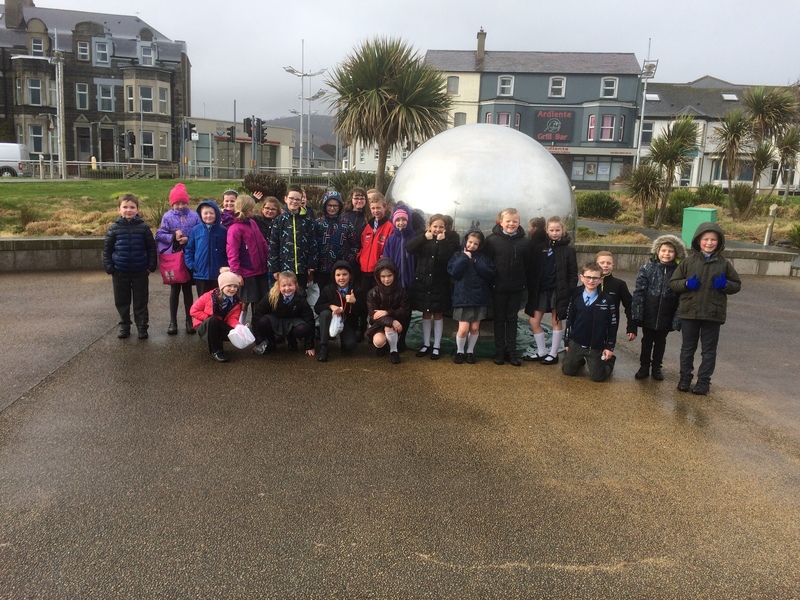 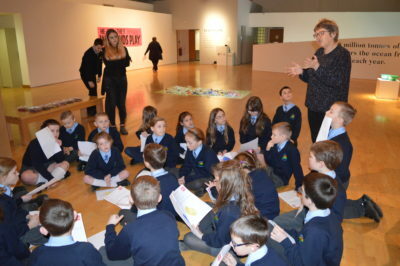 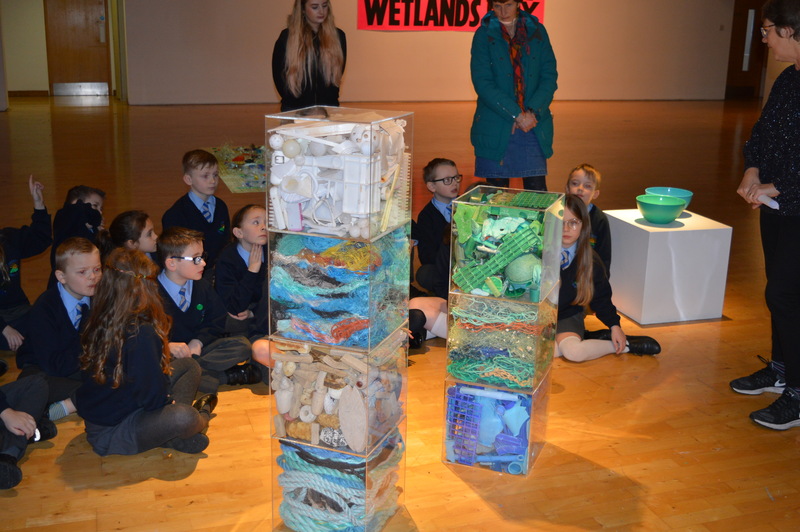 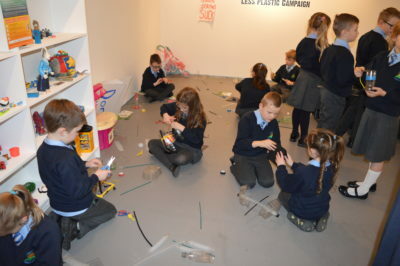 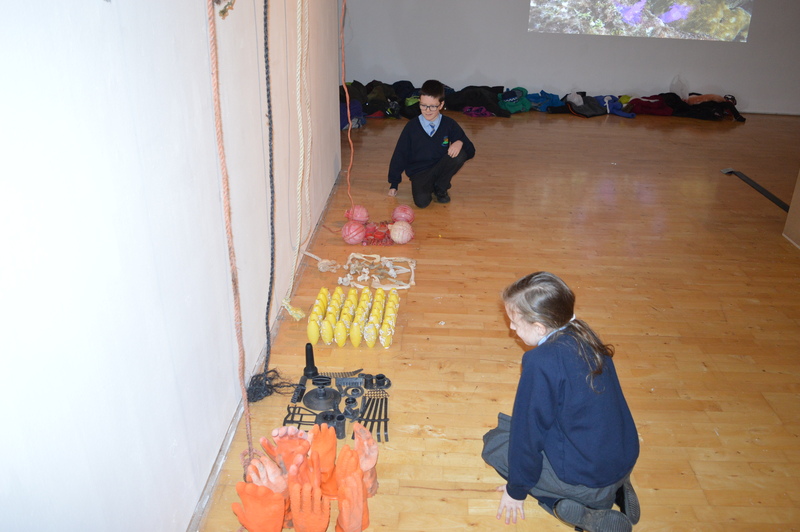 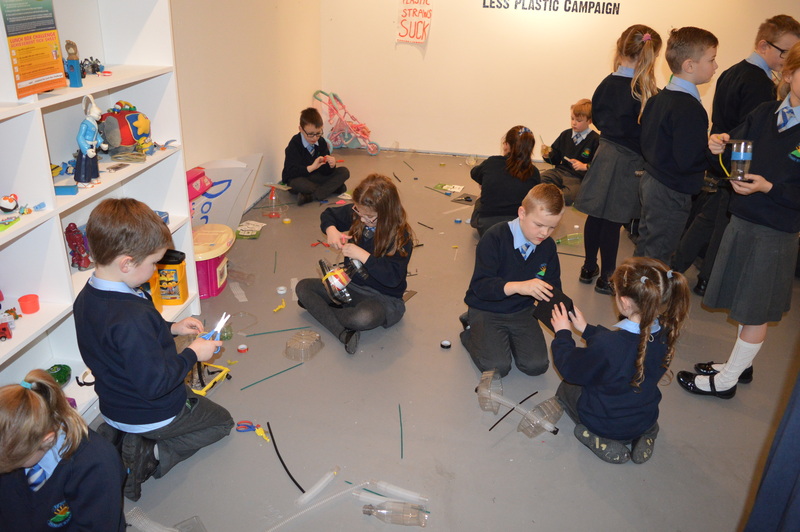 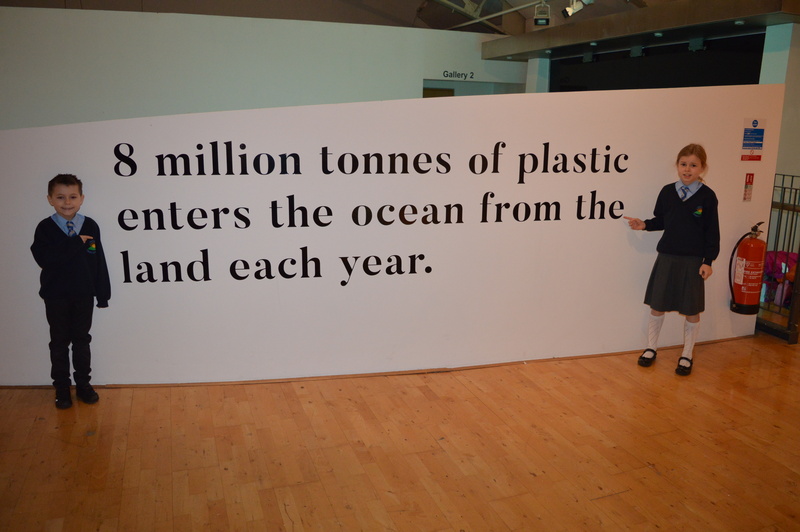 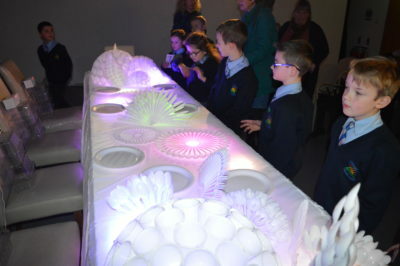 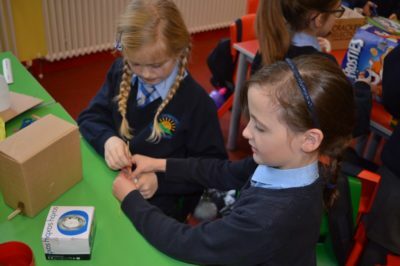 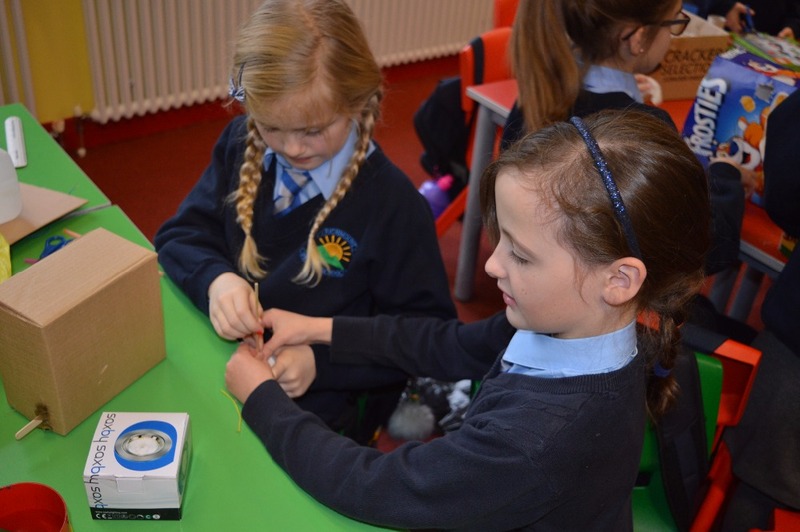 The P4/5 class visited the Millennium Court Arts Centre in Portadown at the end of January to view an exhibition about Ocean Plastic Pollution. 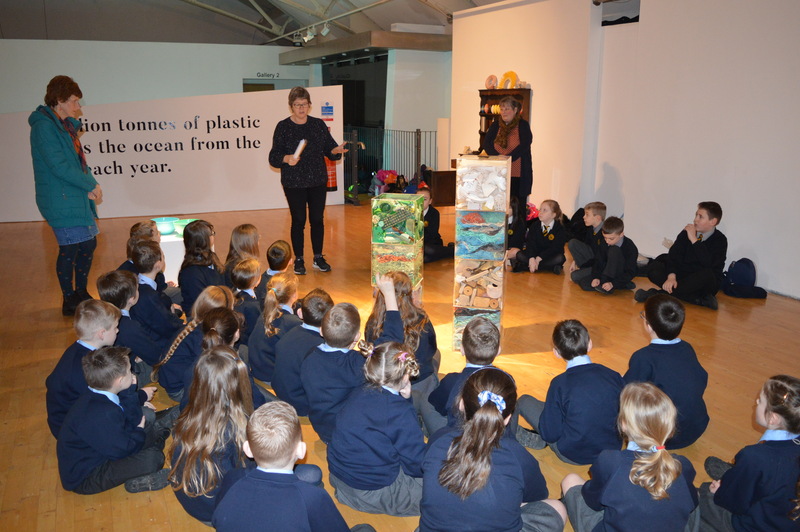 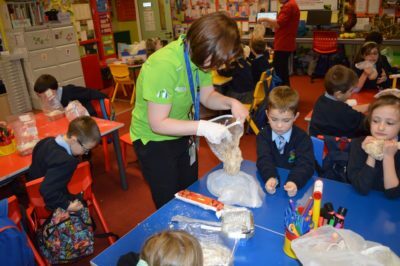 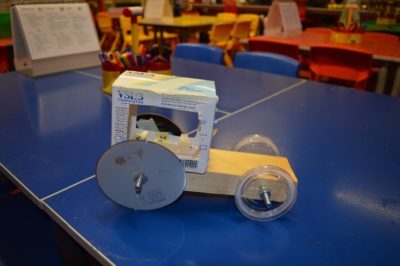 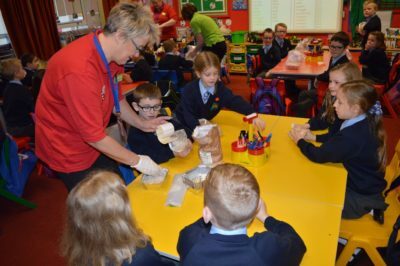 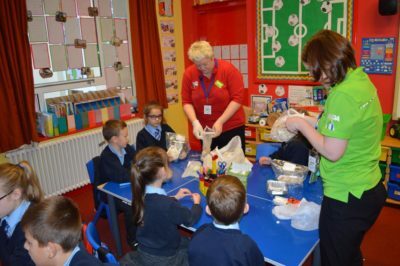 This links in with our topic of ‘Under the Sea’ and the artists and scientists talked to us about the problems of plastic in our oceans and the damage they do to ocean food chains. 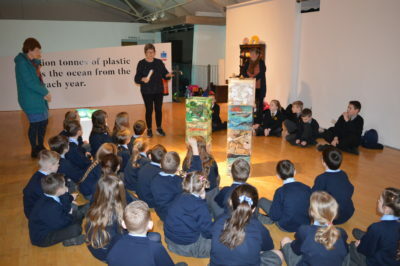 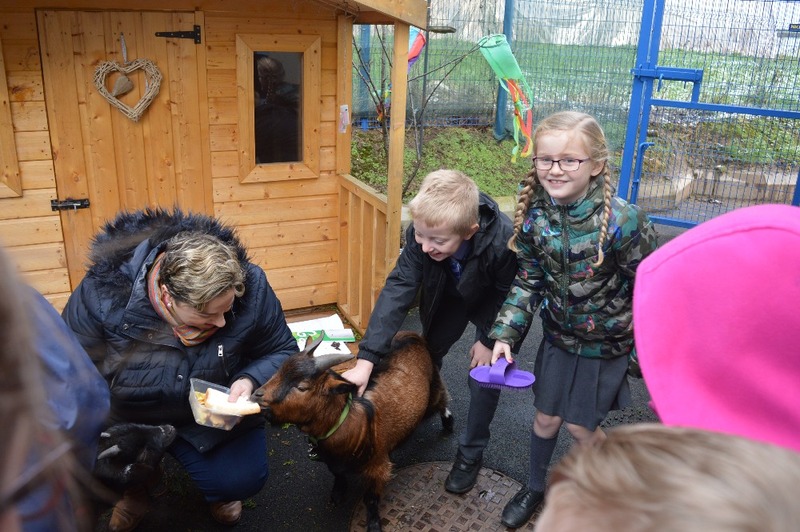 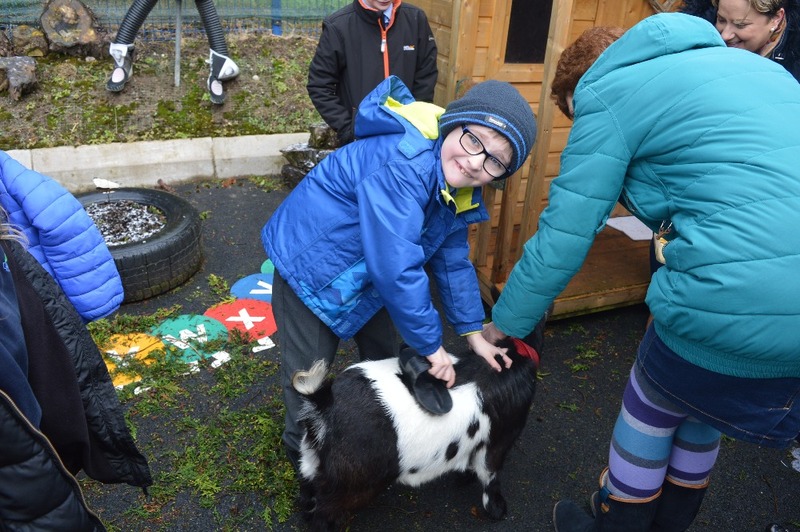 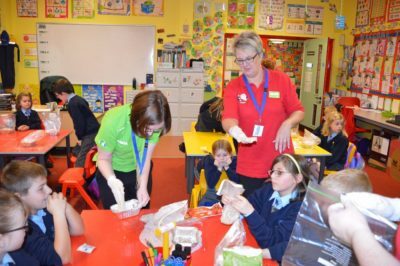 The pupils also learned more about recycling waste so less plastics end up in the oceans. 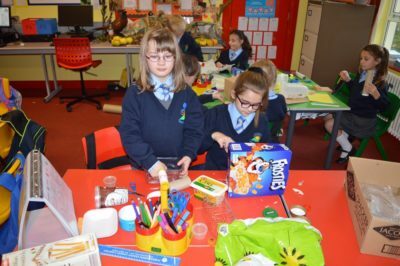 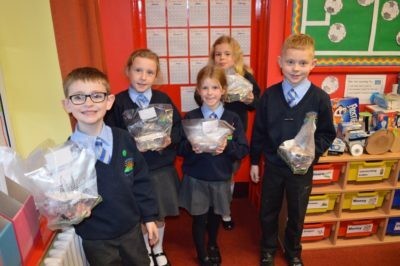 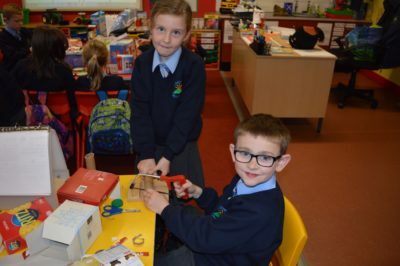 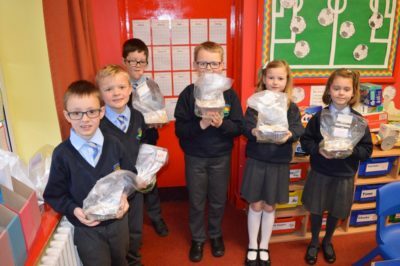 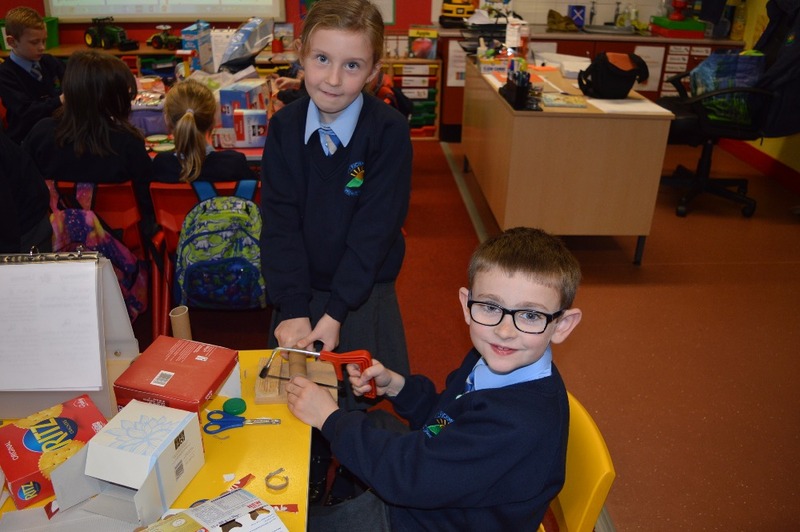 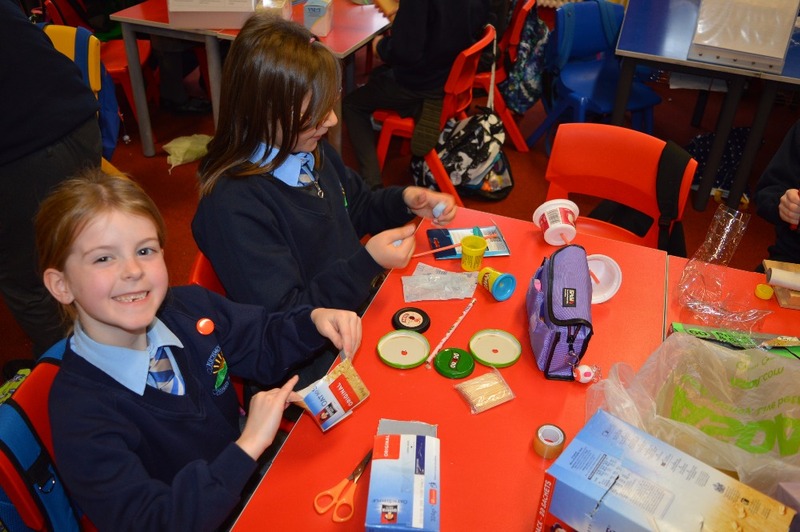 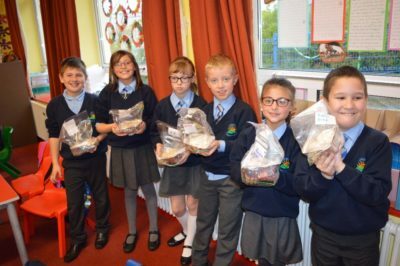 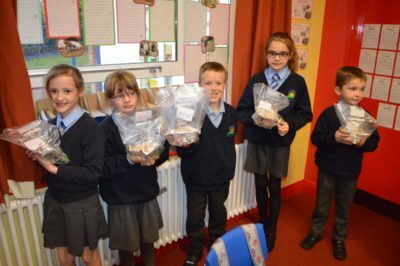 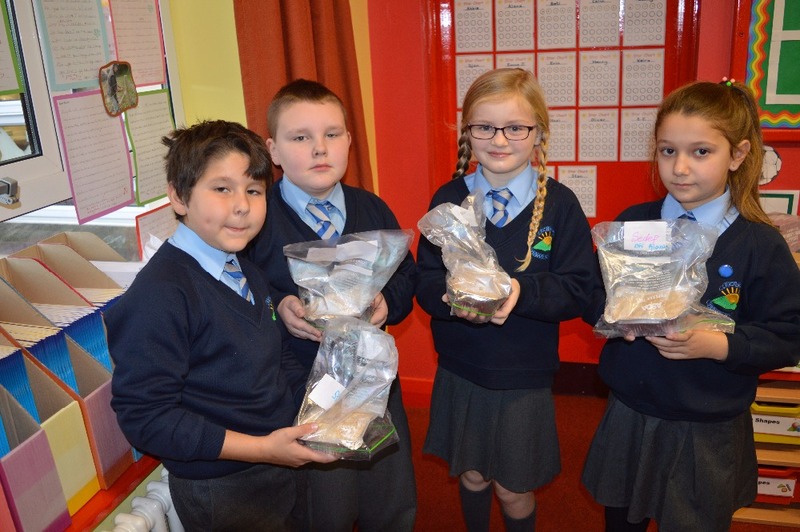 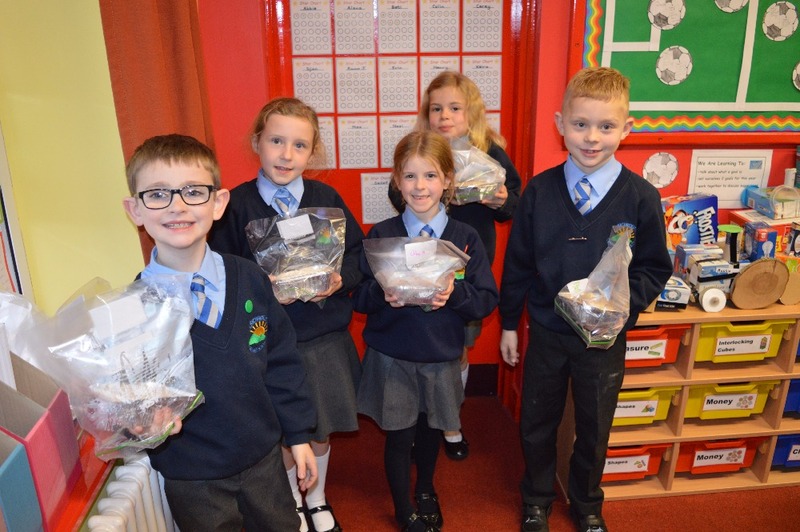 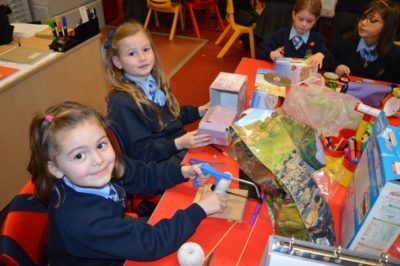 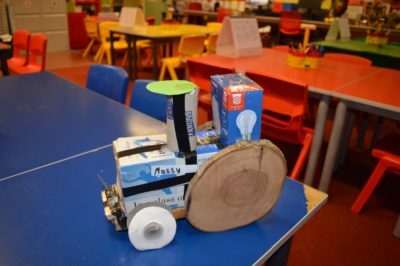 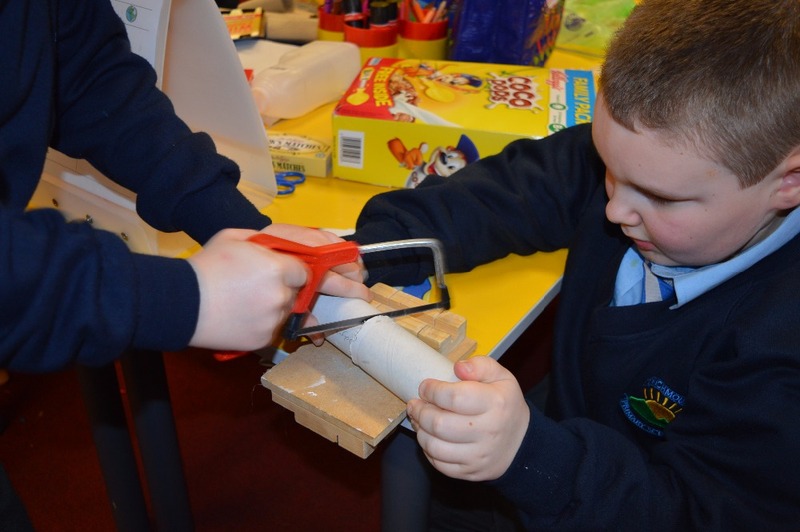 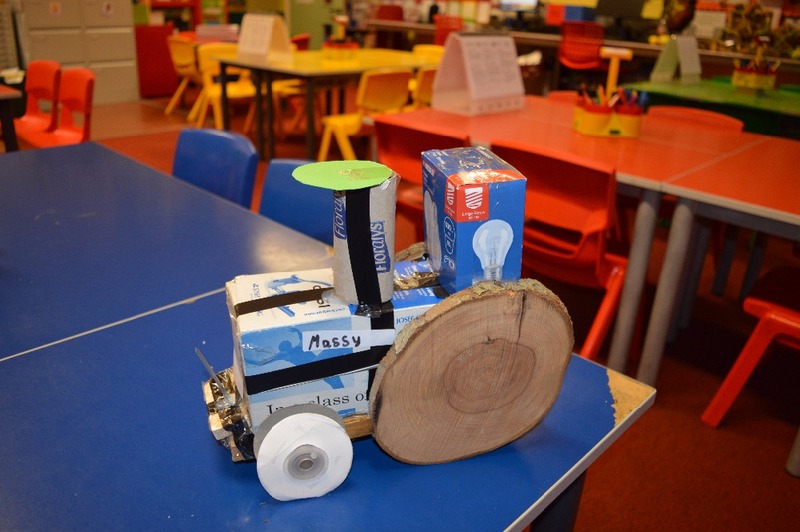 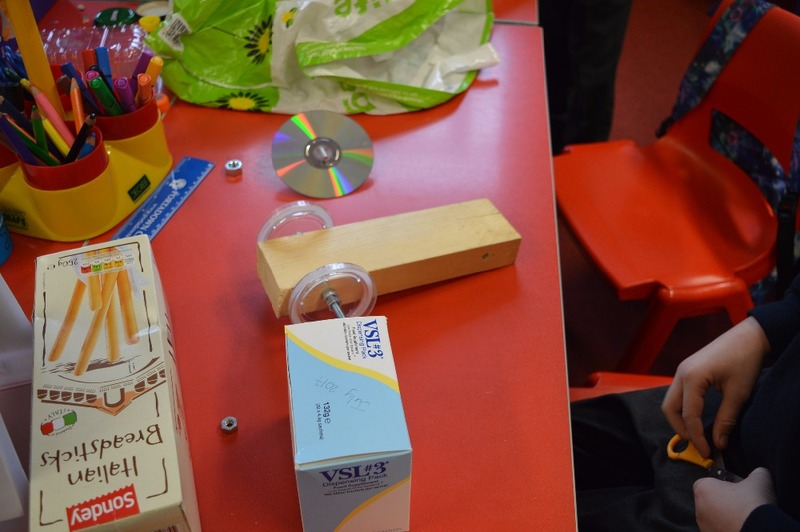 Pupils were all given the opportunity to plan, design and build their own bird feeders from waste plastic. 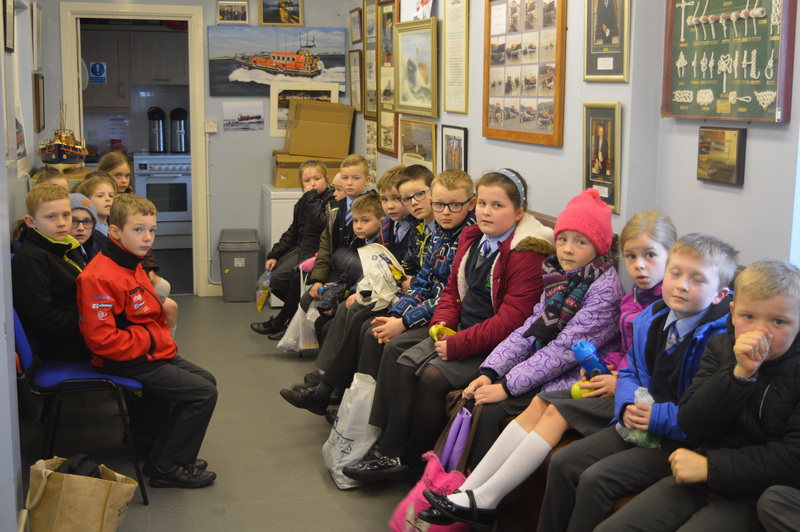 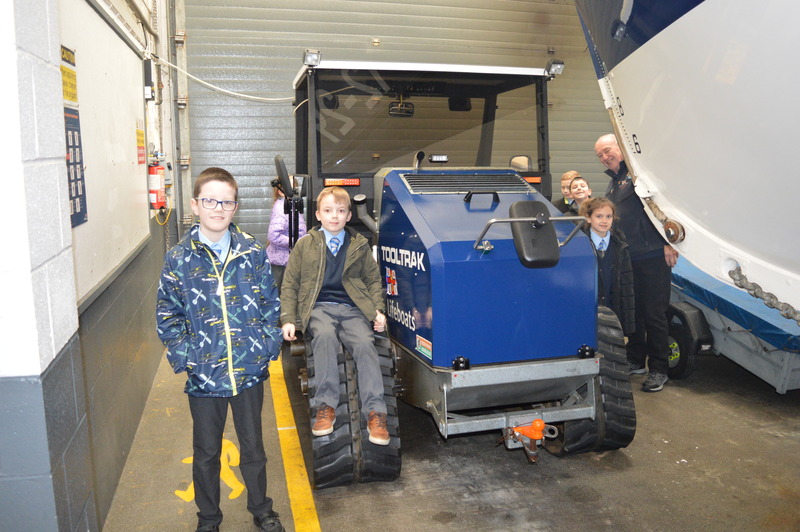 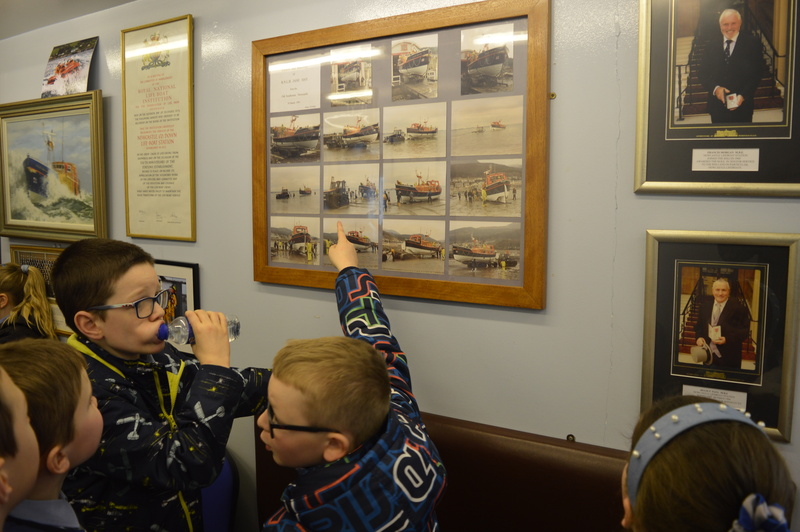 On Monday 4th March P4/5 along with Mr Clyde and Mrs Wilson visited the Newcastle Lifeboat Station as part of their ‘Seas and Oceans’ topic thinking about Sea Danger and Sea Rescue. 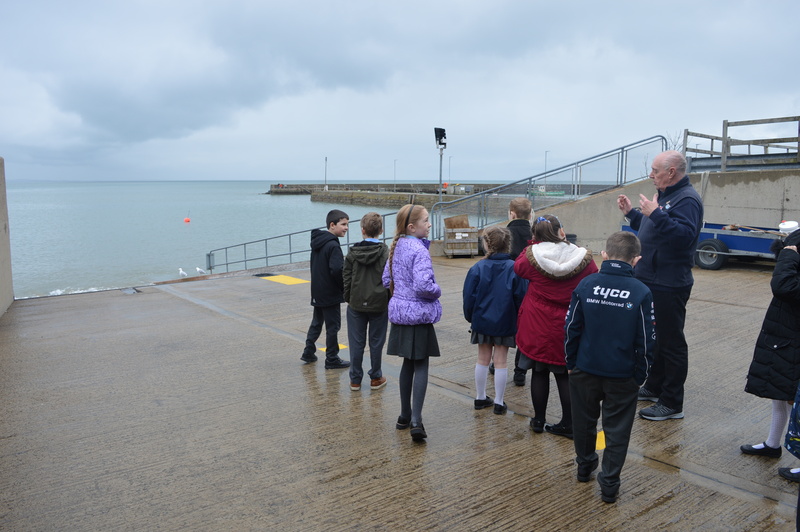 Pupils were given a talk about the history of the station and what it is like to work there by some of the volunteers and crew. 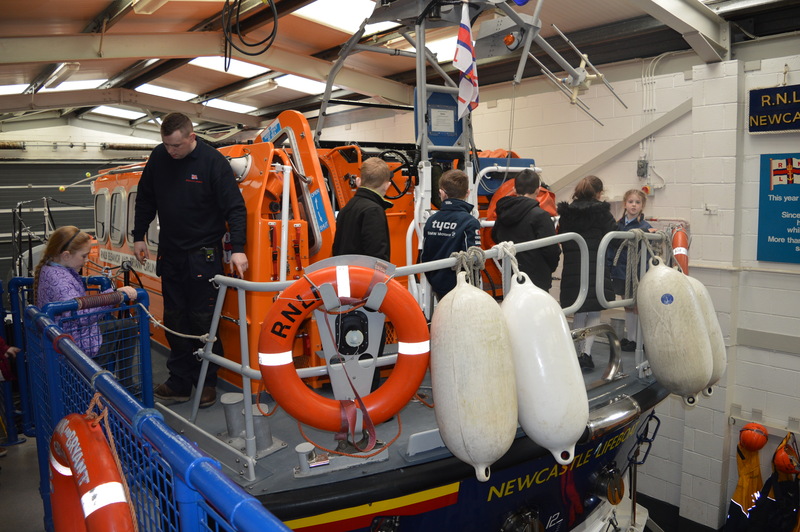 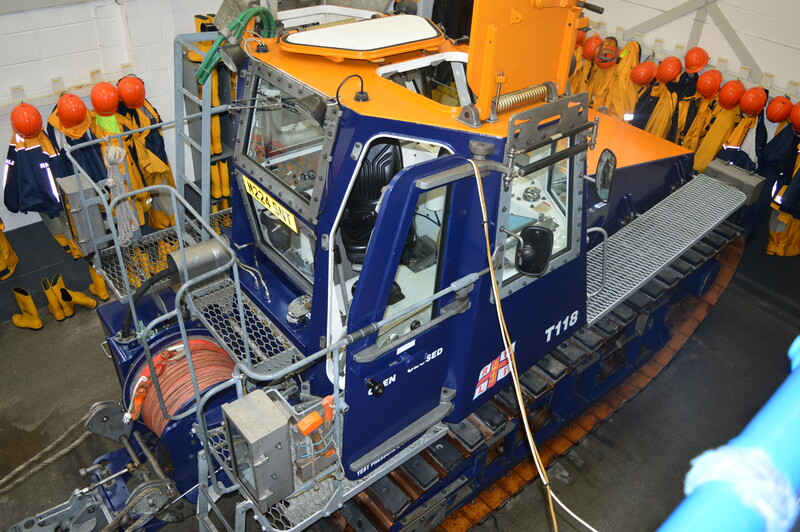 They got a tour of both lifeboats and modelled some of the equipment and kit the crew wear when making a rescue at sea. 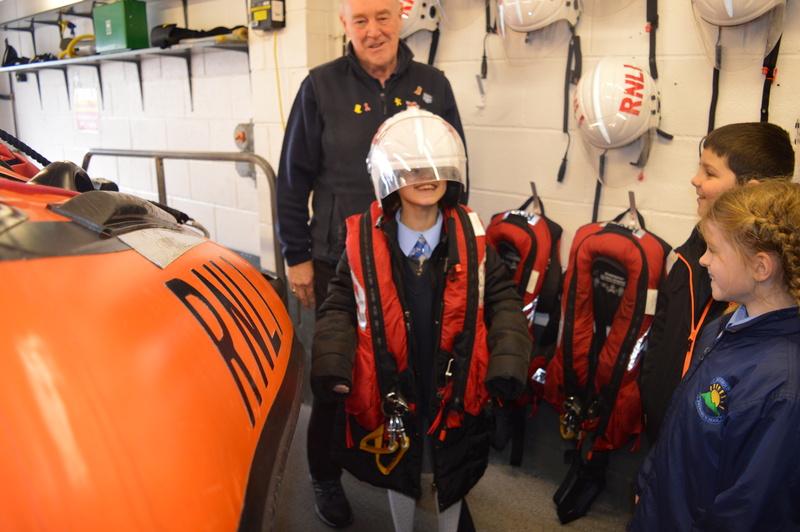 Everyone got a bag of goodies home from the station including a pencil, stickers, keyring, magazine and application form on how to become a junior RNLI volunteer! 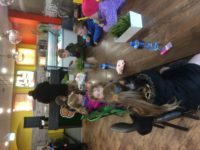 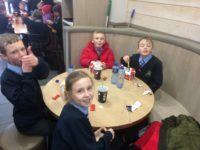 Everyone enjoyed their lunch in KFC (especially Mr Clyde and Mrs Wilson) and got the opportunity to spend some money in the Bon-Bon sweet shop! 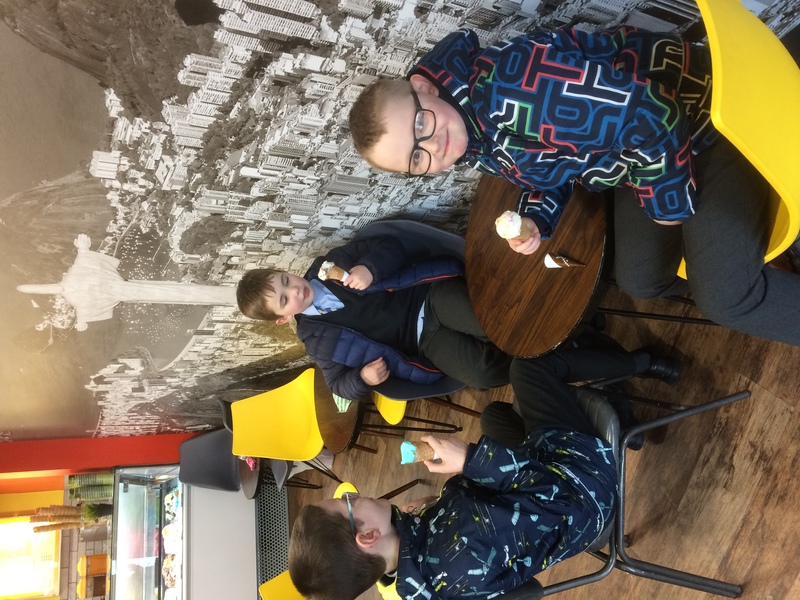 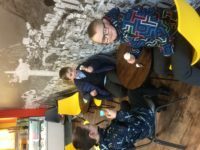 Finally, before setting-off for home, we visited Nugelato and got treated to a big ice-cream-just what we needed on a cold and wet day in Newcastle!